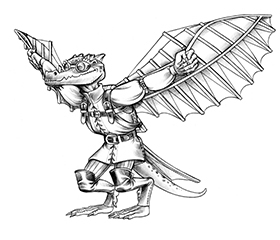 Part of the fun of magic is that it can be used to augment some very specific character concepts, such as those based on the classes in Paizo’s Advanced Player’s Guide. As we were outlining and compiling the Deep Magic project, providing versatile spells that could serve several unique, flavorful purposes was an important goal—and, so far, I think we’ve wildly succeeded. The Deep Magic spells for the witch class are a great example of this. Even though we’re sharing only a few names for now, it’s clear that the spells below fit the mysterious, otherworldly theme that drives many witch characters. Take a look at a few of the spells Deep Magic will offer witches (animal contagion and heart skewer are personal favorites!). Although this might seem like a lot, keep in mind that it’s just a fraction of the witch spells the final book will contain! 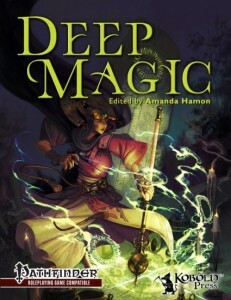 You can preorder a copy of Deep Magic today!